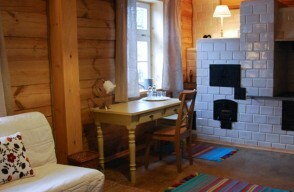 In the heart of the primeval forest, in Białowieża, we have created a cozy, soulful restaurant housed in a mid-war house. The character of the restaurant represents the rich tapestry of cultures from the surrounding lands. The restaurant looks to respect our ancestors as we aim to provide food in accordance with the culinary traditions of the town. Food with roots as old as those in the nearby forest. 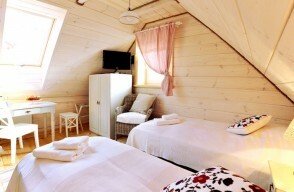 We are delighted to offer rooms at Stoczek 1929. 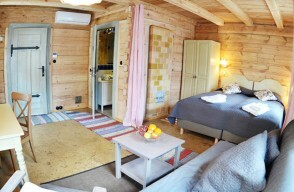 We are offering four independent apartments housed in a renovated cottage on the Stoczek 1929 site. 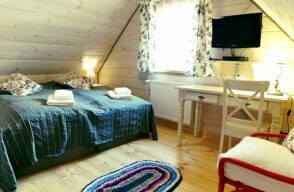 The cottage is an authentic wooden log house and has stood in Bialowieza since the nineteenth century.